We are looking for international surrogates. Are there any available Surrogacy Options in Indonesia? 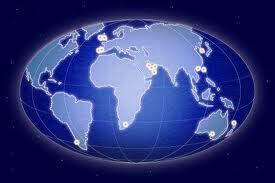 We do know of surrogacy companies in other countries. Since the laws are not good in Indonesia it presents some issues with getting a passport. Are you citizens of another country…or of Indonesia. Let me know and we can talk more. Oh yes, definitely, we are on New Zealand passports and I am also on British. We are living here for 1-2 years only for my husband’s job. I believe surrogacy is more affordable in Asia rather than the states and given our proximity I thought would also make things easier. You Asked. We Answered… Is PGD Legal in India? You Asked. We Answered….Being Gay and finding a Surrogate outside the US.